By all accounts the Dr. Martin Luther King Jr. Civil and Human Rights Conference in Atlanta, Georgia hosted by the AFL-CIO was a huge success. “Even though the meeting was across the border it felt like I was home,” said CUPE Diversity VP Yolanda McClean. “We spoke of the need to raise the minimum wage, have access to affordable child care, and most importantly reaching into our communities to get the vote out. Both countries – within their communities are struggling to mobilize the vote,” she said. The conference took place in the 50th anniversary year of the Voting Rights Act. This legislation reformed how people of colour were able to participate in the political process. Over 700 delegates from across the USA and a few from Canada gathered to strategize and continue Dr. King’s dream of organizing for social and economic justice. 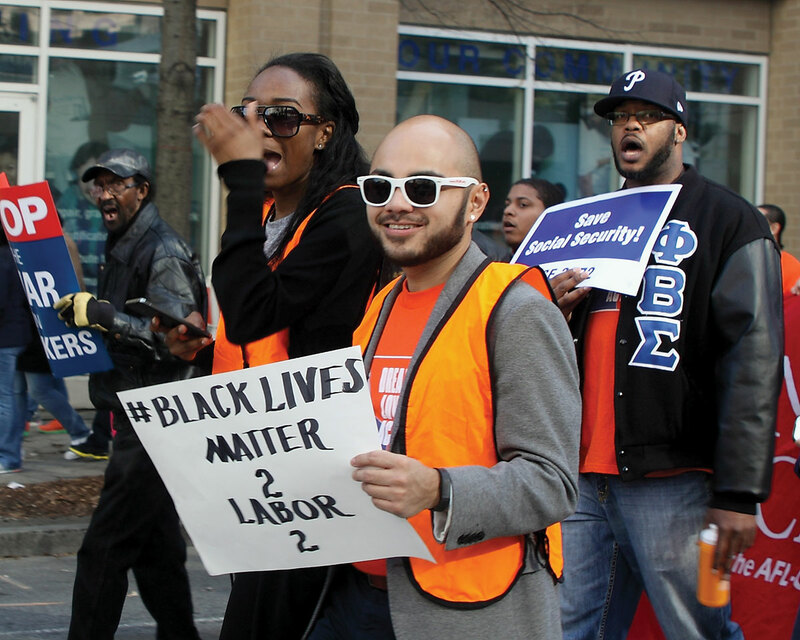 Delegates took to the streets on Martin Luther King Day. “Thousands of people came out. With every step I took I thought as I take these steps I’m making a commitment on our next steps as labour and civil rights communities to make change happen and make life better for our communities. It was so powerful,” said McClean.